My names is Jjuuko Joseph, from Uganda, Masaka District. I have studied Bsc. Computer Science and Information Technology at Kampala University. I have made a number of E-Books, Websites and Computer systems and among others, with support of Mrs.Emelie and her Family. 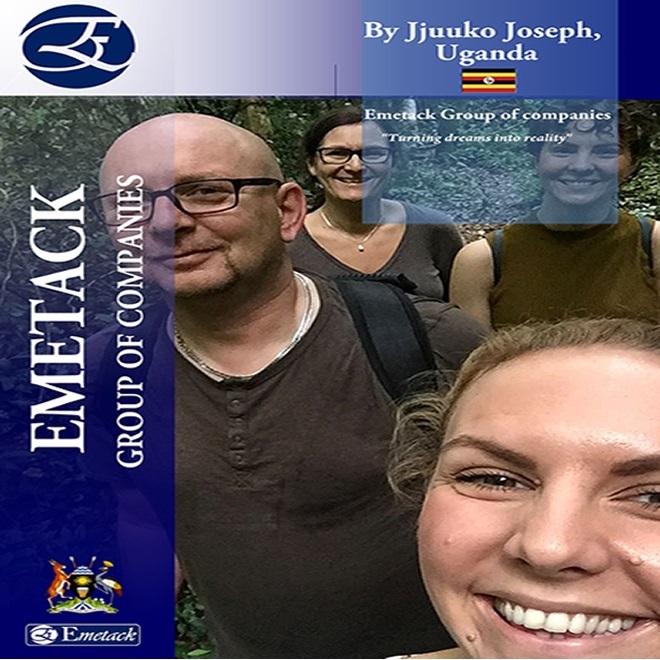 Today I have decided to come up with idea of starting Emetack Group of Companies dealing in very many things as mentioned bellow, to reduce on increasing number of unemployment in Africa and to turn many dreams of Africans true. Moving office to office looking for jobs or going to Europe, USA or Asia for high salaries will never save Africa. By working for others, we only become a high-paid slaves, we help others develop their dreams and leave out ours. I believe $ 14,000 will be enough to put this idea in action. The best thing of all; is that technology is still developing in Africa and few people are equipped with computer stills. I believe this company will enlarge from Masaka district where I was born from to cover entire country, continent and world as well. I will work very hard and wisely, no matter what it will take, I will make sure this idea work out. This has been has my dream for so long. We have some advantages in Africa that land, labour force, construction materials are still cheap.